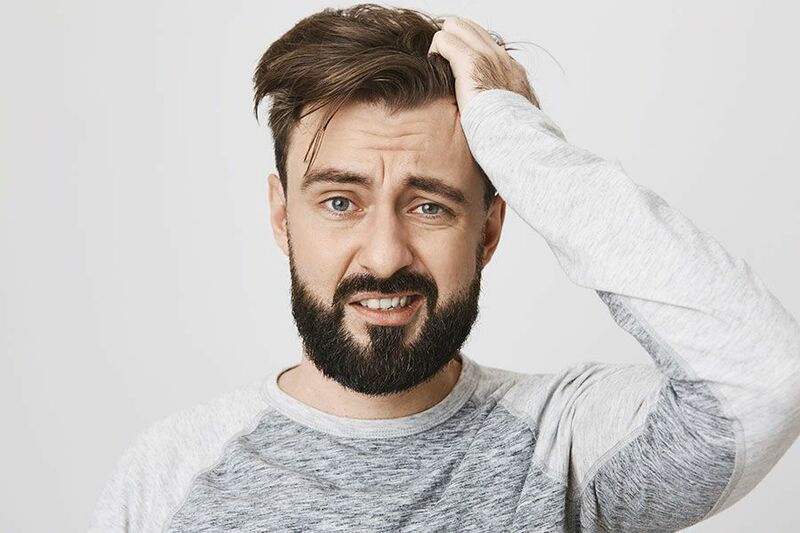 Sadly, but over the course of your life, you might encounter many if not all mens hair problems. Of course, there’s a chance that you were lucky enough to win a genetic lottery, and they’ll simply bypass you. Though, your genes aren’t the only to factor in a receding hairline and other pelt issues, so you never know what the future holds. Remember, forewarned is forearmed. Thus, it’s good to know not only what hair challenges there are but also how to confront them. So that you have all the necessary information, we’ve prepared an ultimate guide to men’s hair problems. We aren’t pretty sure whether to consider a hair calic one of hair problems or not because it’s a common trait that’s inherent in many people. Most often, it appears at the crown of the head but basically can be spotted anywhere. With a cowlick hair looks, as the name implies, as if a cow helped you to style it with the tongue – a strand of hair swirls against the grain. Because compared to other men’s hair problems, a hair cowlick isn’t such a big deal, there’s nothing specific you should do to deal with it. Don’t try to tame it using a hairstyling product though, as it simply won’t work. You’ll end up having greasy hair and the cowlick will stick up anyway. Thus, you should try to cooperate with it instead of confronting. The best way to deal with your cowlick is to embrace the grain direction and opt for the hairstyle that’ll help to disguise the whorl. If it’s at the nape, you should get a short cut there while the remaining hair should be swept toward it. In case it’s at the top of the head, your hair there should be long enough to make it heavier and thus, hanging down. Provided the cowlick is at the forehead, go with a long fringe. Though, if long hair isn’t your cup of tea, a buzz cut is a way to go. For more inspiration, here are some great hairstyles for men with a cowlick. 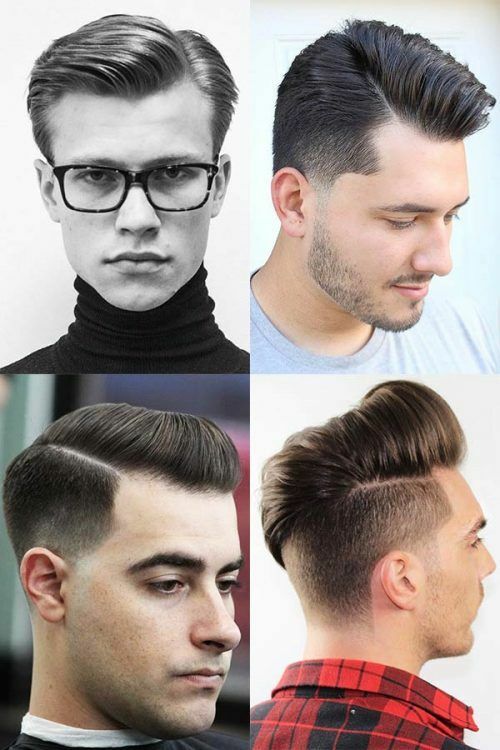 If you like elegant and dapper mens hair styles with a touch of vintage, a side part is something you can’t go without. However, not any hair is able to keep the side parting the way it’s initially styled, thus becoming a total mess. When it comes to keeping your side part in shape, the key to success is finding where your natural side part goes. One of the main reasons why it doesn’t want to hold in place is simply not the right place. Maybe, your side parting is meant to adorn the other side of the head or it should sit higher or lower. Try different options and see which works best. Besides, the kind of men hairstyle also plays a crucial role in the success of your side part. If the hair length above and below the parting is different, the shorter hair is most likely to stick out. Go with hairstyles of an even length and use a blow dryer for styling your hair to eliminate the problem. Here are some nice looks for you to try. Sometimes, the hair on the crown of your head can grow faster than on the rest of it. 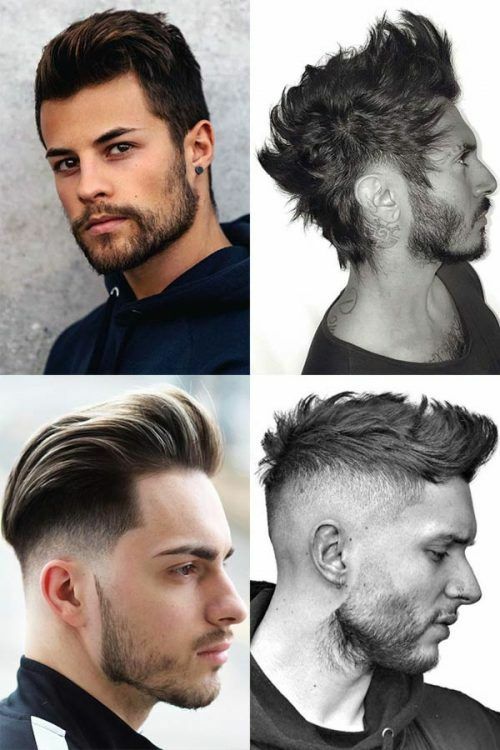 So, if you want to sport a medium length men haircut, by the time you grow the required length on the sides, you’ll have got a double crown hair length on top. This may be tricky in case you decide to slick it back, as the hair on the crown will most likely stick up. Again, you shouldn’t try to combat your mens hair issue. Instead, you should always try to make a profit on it. 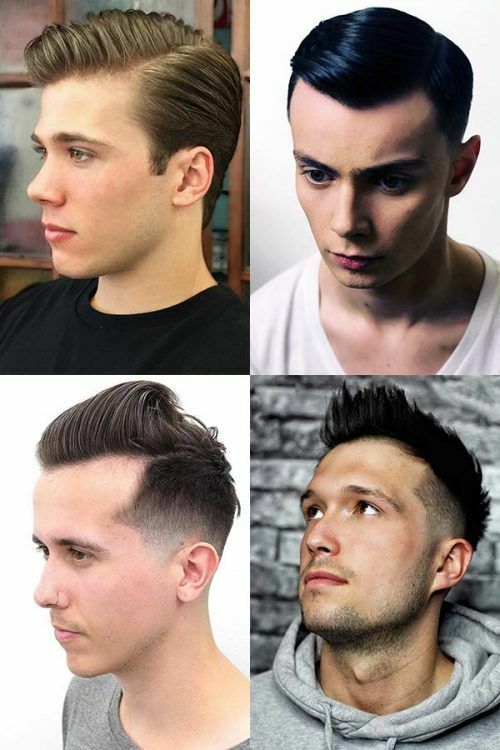 A tapered toward the nape haircut is right what you need. 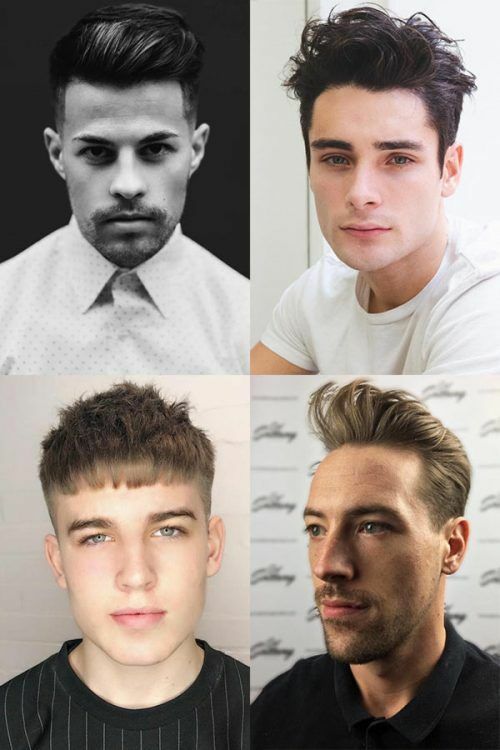 If you want to pull off a hairstyle with a long fringe or bangs, get your barber to cut your hair from the longest at the front to the shortest at the top. Even if you have jutted out strands of hair at the back, they won’t be as noticeable thanks to the voluminous haircut. So that you know where to head to, look through the best hair cuts for an overgrown crown. Your mane isn’t the only one to experience challenges. Your facial hair may also be prone to different kinds of failures. A patchy beard is quite a common issue that has many various causes, one of which is genetics. Thus, it’s not so easy to fix uneven facial hair growth, being much easier to disguise it. Most often, your cheeks and the lower area of the neck will be the patchiest. In case you fail to grow enough hair there, go for hair clippers. But, don’t be reckless with them, be creative. You can opt for tapering, for instance. In this way, you’ll smoothly blend your beard into the hair thus erasing the sharp edges of patches and softening transitions between the facial hair and its absence. In case you want to know what it’s going to look like, here are a couple of options. This issue also concerns a receding hairline. A widows peak is when your hair starts disappearing from the forehead so that your hairline forms a V shape there. The best way to sort out the issue with the widow’s pick isn’t to shave it off but to choose the right hairstyle. For short hair, men should turn to a side part and style their thatch so that it’ll be most voluminous at the front. For longer hairstyles, let the parting fall in the middle. You can see below what we mean. Thin hair is something that can hit you equally likely both in your early forties and in your late fifties. This issue again has multiple causes, aging being the primary. 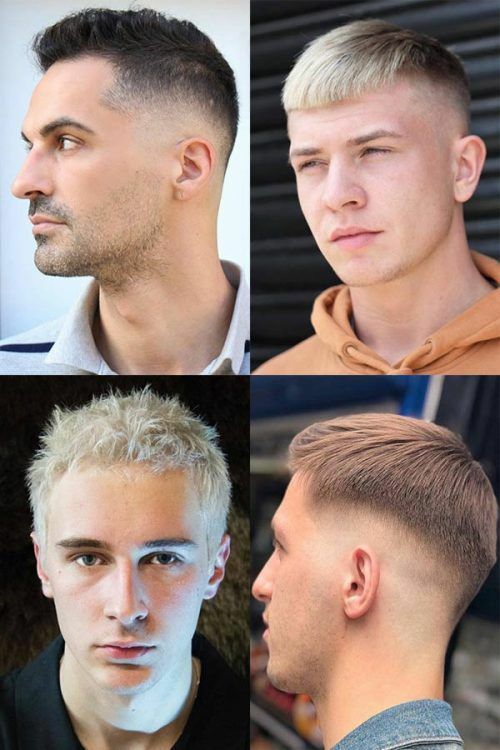 Let’s not focus on harsh methods of dealing with it now, such as hair transplantation or wigs, but better look at the men haircuts that will help disguise such a flaw. 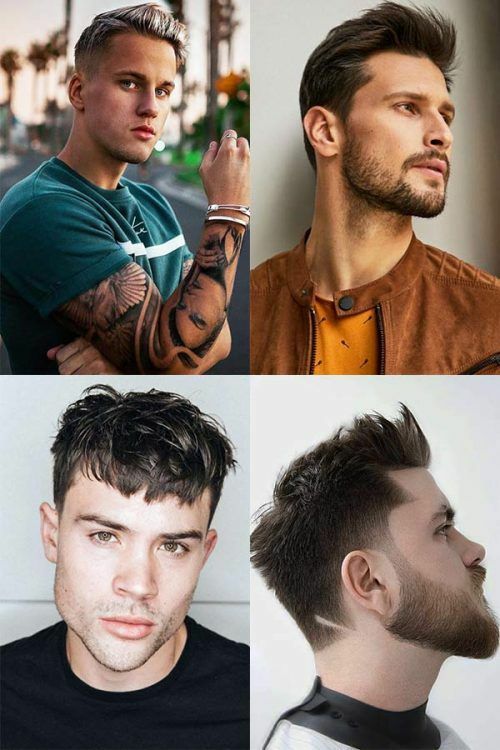 So basically, to conceal your scarce locks, you need to opt for the guy hairstyles that enhance volume and give the impression of dense thatch thanks to the short textured cut. Avoid the hair styling products that can make your hair clot, opting for texture paste and sea salt spray with a matte finish. See the best hairstyles for thinning hair below. Nobody’s insured against mens hair problems. They can arise suddenly or be quite foreseen. One way or another, it’s always better to be safe than sorry. To help you be ahead of the game, we prepared this handy guide to deal with the most common men’s hair issues.